Nita McHugh is the Medical Aesthetician at Ashbrooke Vein and Cosmetic Centre Surry Hills. 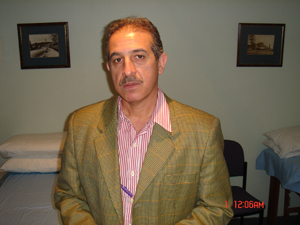 She is a registered nurse with 30 years experience and has specialised in Aesthetics. She trained to be a dermal technician with Dr Danne Montague King products and has studied advance exfoliation and chemical peels procedures. She is a member of the American Society of Plastic Surgery Skin Care and the Association of Professional Aesthetics of Australia. toskin care that is non-surgical, safe and effective. Gentle peeling using a controlled application of a diamond coated abrasion device is used to soften fine lines, lighten age spots and improve skin textrue and color. Improvement continues throghout the treatment program, which may be also used in combination with other topical agents for added benefit. Microdemabrasion can be used in all skin colours and types and is useful in treating pigment disturbances related to hormones and sun exposure. Microdermabrasion is an ideal solution for people who cannot afford to take time off for healing for chemical peels or laser resurfacing. Our non-particle microdemabrasion unit does not use sand or aluminium outside crystals. The use of these crystals has raised safety issues since these particles can be inhaled and may have the potential to cause future problems in the lungs and eyes. Combining microdermabrasion and peels is individualised according to your skin. Sculptra Poly-L-Lactic acid is a truly unique facial enhancement that may help you look years younger – from giving the appearance of a complete “mini-facefift“ to eliminating troublesome lines, wrinkles, or furrows (folds or creases) – without risks of surgery. New Fill is a synthetic, injectable material that contains skin-smoothing microparticles to help lift and smooth sagging skin, severe wrinkles, creases, dark circles, and scars. Poly-L-Lactic acid (PLA), the main component of Sculptra, has been used in plastic and reconstructive surgery for more than 20 years. Sculptra was specially developed to help eliminate facial flaws and approximately 100,000 patients have been treated worldwide since 1999. 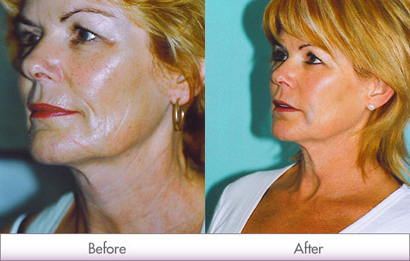 Sculptra is effective, well tolerated, and can last in many patients for more than one and half years. 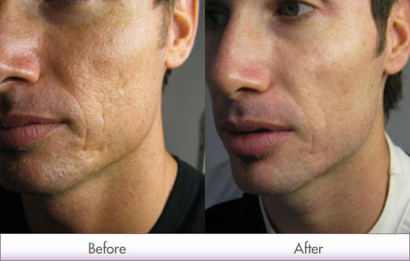 Maintain: Once Skin Revision Program completed regular 6 weekly maintenace treatments are recommended.